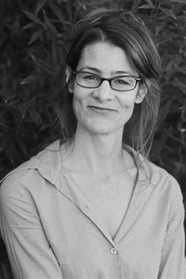 Cathleen Daly is a writer and performance artist who lives in the San Francisco Bay Area. She is the author of the novel Flirt Club, and the picture book Prudence Wants a Pet, both published by Roaring Brook Press.Her second picture book with Roaring Brook Press, Emily's Blue Period, was the runner up for the 2015-2016 Texas Bluebonnet Award, was a Junior Library Guild Selection, a Bank Street Best Children's Book of the Year, and a Cooperative Children’s Book Center Choice (University of Wisconsin). Emily wants to be an artist. She likes painting and loves the way artists like Pablo Picasso mixed things up. When two self-professed middle school drama geeks––Isabelle and Annie (a.k.a. Cisco and The Bean)––fail at their attemps in romance, they start Flirt Club, an after school support group for similarly afflicted friends who decide to take decisive and strategic action with hilarious and touching results.